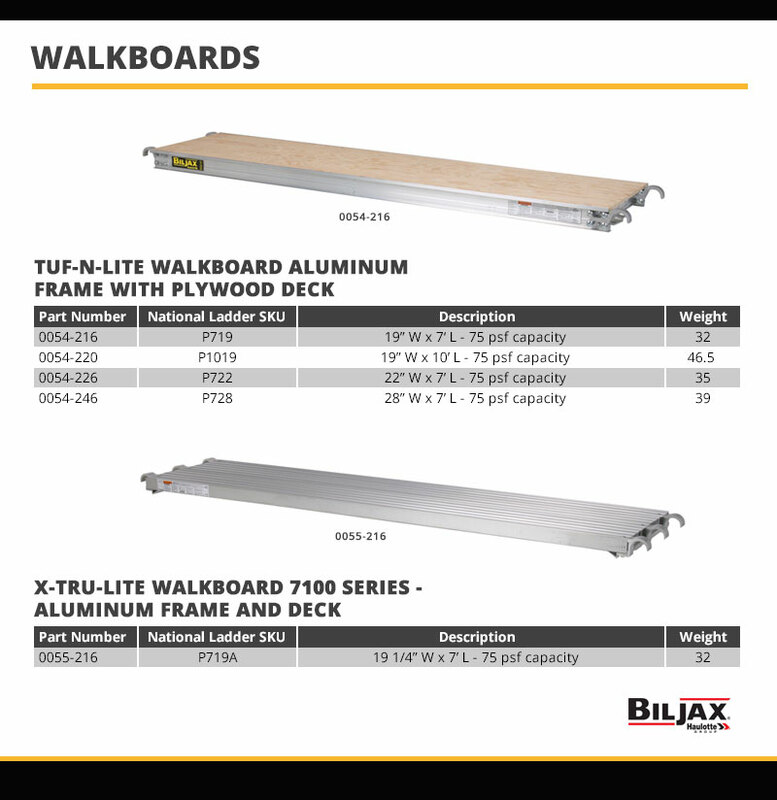 Bil-Jax Tuf-N-Lite Walkboards are the most widely used industrial grade scaffold plank on the market. Bil-Jax Walkboard Planks features 1/2" finished plywood decking and heavy duty "I" beam side rails. Each Bil-Jax Plank meets or exceeds O.S.H.A standards and has a 75 lbs. per square foot duty rating. Made in the USA. Load Capacity: 75 lb./sq. ft.